You have probably heard of ‘nice cream’, right? But perhaps you haven’t tried it out yet? 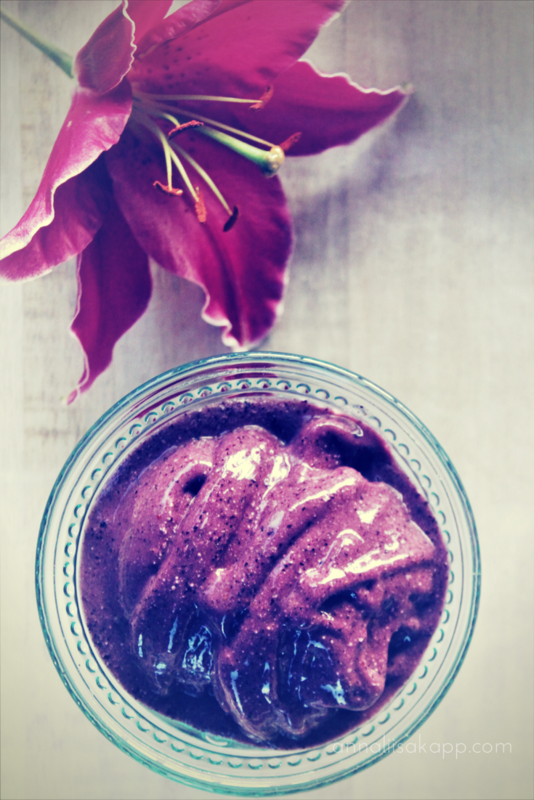 ‘Nice cream’, which is vegan ice cream (dairy free), is pretty much a staple in my household during the warmer months. 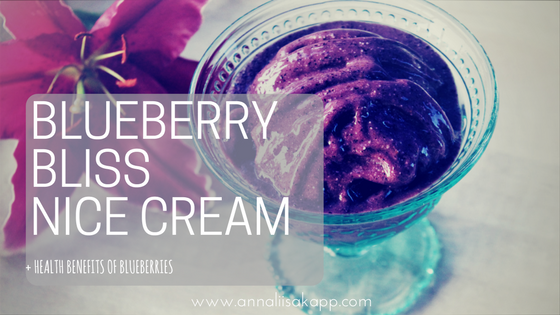 They are a great antioxidant and nutrient rich alternative to sugar laden and dairy filled store bought ice creams. There are, of course, dairy alternative ice creams available at the store, but they are usually filled with too much sugar and emulsifiers, which create that creamy consistency. 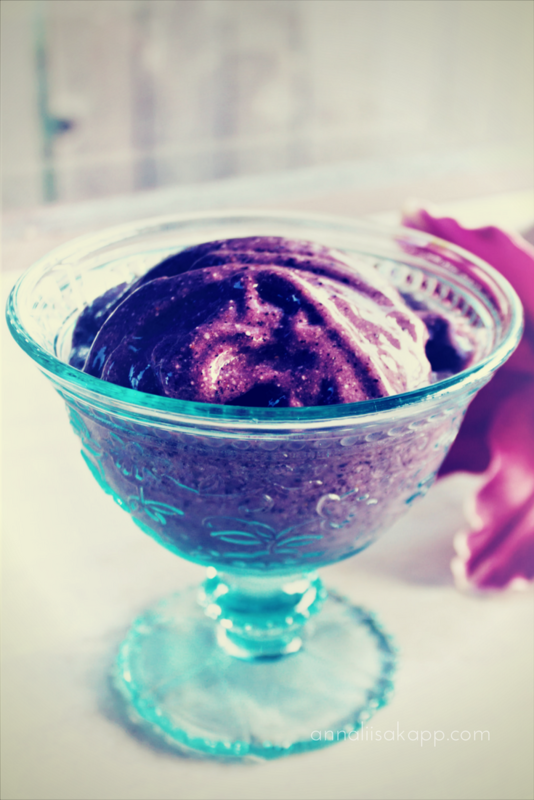 The thing about making this dessert at home, is that you can control exactly what goes in it, and tailor it to your taste buds, and avoid unnecessary food additives that can lead to inflammation. They are super simple to make and the flavour combinations are endless! The abundance of phytonutrients found in blueberries offers protection from free radical damage in every organ system in the body. This includes your cardiovascular and nervous system, blood sugar regulatory system, and even muscle recovery protection from exercise. Berries, like blueberries, show anti-cancer potential in breast cancer, colon cancer, esophageal cancer, and cancers of the small intestine. Some of the mechanisms by which blueberries have been shown to prevent carcinogenesis include inhibition of the production of pro-inflammatory molecules, oxidative stress and products of oxidative stress such as DNA damage, inhibition of cancer cell proliferation and increased apoptosis. Daily consumption of blueberries (1-2 cups) over 1-3 months has been shown to reduce inflammation, improve blood fat balance, including reduction in total cholesterol, raising of HDL cholesterol, and lowering of triglycerides and help protect the blood components (like LDL cholesterol) from oxygen damage that could lead to eventual clogging of the blood vessels. This is due to the high amounts of polyphenols, especially anthocyanins, micronutrients, and fiber found in blueberries. What’s more, blueberries also help to protect the heart by reducing both systolic and diastolic blood pressures, and helps to maintain normal blood pressure in healthy individuals. Studies have shown that 12 weeks of daily blueberry consumption helped to improve memory and slow down or postpone the onset of other cognitive problems frequently associated with aging. By lowering the risk of oxidative stress in our nerve cells, blueberries help us maintain smoothly working nerve cells and healthy cognitive function. Age-Related Macular Degeneration (ARMD) can lead to blindness and prevention is your best bet for protection. 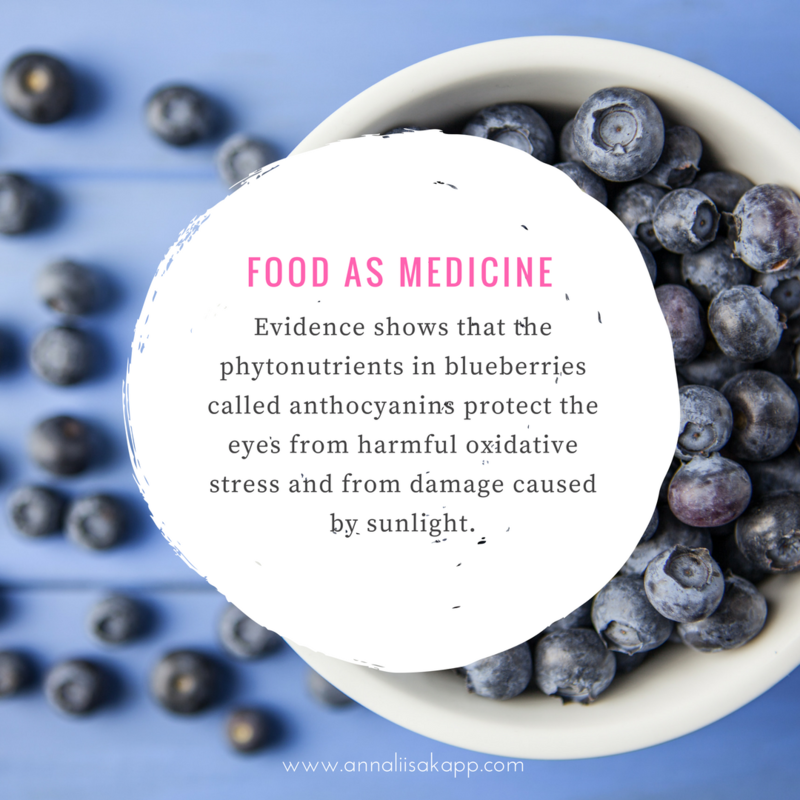 The phytonutrients, called anthocyanins, in blueberries protect the ultra sensitive retina from unwanted oxygen damage as well as the harmful effects of UV Rays. Studies show that daily consumption of blueberries can help to prevent ARMD and improve night vision. There you have it folks! Just a few top benefits of adding 1-2 cups of blueberries to your diet daily. July is the optimal time to stock up on fresh blueberries and freeze them for the rest of the year. Freezing your berries does not deplete the beneficial antioxidants. Check out the recipe below to get your daily dose, and don’t forget to choose organic berries as they offer more antioxidants than conventional. Perfect for an afternoon snack or after dinner sweet fix! Add milk in the blender first, then all the rest of the ingredients. Start with the blender speed at the lowest, and use your tamper to press the ingredients into the blades for about 30-60 seconds, slowly increasing speed. When the nice cream is moving through the blades easily, turn the speed to high for 5-7 seconds. Serve immediately.